ocial casino is one of the most lucrative genres in the mobile game industry. In just a few short years, social casino has grown into a multi-billion dollar market. By 2017, the social casino sector is expected to hit the jackpot, generating $4.4 billion as per Eilers Research. Moreover, social casino is home to some of the most lavish spenders in the industry, exhibiting a payer conversion rate upwards of 46 percent in some cases among U.S. players. Yet for the most part, the genre appeals to only a small subset of the total mobile user base—contrary to other casual game categories such as puzzle and action. How exactly did social casino become a mobile game powerhouse that punches above its weight? The answer: A perfect storm of events. The combination of the reach afforded by the mobile platform and the removal of real-money winnings from traditional casino games resulted in the birth of social casino. Naturally, the traditional casino industry took notice as the social casino space began to heat up. Both land-based casino operators and casino game manufacturers wanted a share of the pot. One of the first operators to make a big bet on social casino was Caesars Entertainment Corporation. In 2011, Caesars acquired Israel-based casino developer Playtika. The bet paid off big time. A few more acquisitions later, the U.S. casino giant’s aptly-named Caesars Interactive Entertainment became the chip leader of the social casino market. Caesars’s acquisition of Playtika was followed by a string of bets from other offline casino companies, including International Game Technology’s (IGT) acquisition of Double Down Interactive, Churchill Downs’s acquisition of Big Fish Games, Aristocrat’s acquisition of Product Madness and dozens more. Lately, though, mergers and acquisitions have cooled off a bit, pointing to a slowdown in the social casino market landgrab. Nevertheless, the stakes are high in the blazing social casino industry. While the social casino space remains filled to the brim with fierce competition, there’s still plenty of room for growth and innovation. Fortunately for you, this edition of the Chartboost Power-Up Report will be the ace up your sleeve to thrive in the complex social casino space. This pragmatic guide to social casino will illustrate user acquisition and monetization best practices specific to social casino games by walking you through strategies from top casino devs, and how you can benefit from their tactics. In particular, we take an in-depth look at Playtika’s successful slots game House of Fun, explore the booming social casino market in Latin America, reveal how to leverage established brands in social casino, and so much more. Keep scrolling or download the PDF. he social casino industry isn’t for the faint of heart. The sector is stuffed with heavyweight casino companies, yet the effective size of the casino category pales in comparison to other fiercely competitive categories. It goes without saying that it’s difficult for mobile casino developers to stand out from the crowd. An app icon and physical product packaging share many parallels, including their purpose of attraction. Sometimes a developer’s app icon only has one shot at attracting a user’s attention—and, to put it simply, devs better make it count. “For [mobile game] browsers, all you have to sell them on your game is your icon and your name,” says Justin Neustadter of casino game studio Product Madness (the outfit behind top titles such as Heart of Vegas and FaFaFa Slots). Most successful app icons tend to look the same with similar styles, colors and images because, according to experts, we all relate to images in similar ways. For mobile casino games, the icons are often of slot machine reels and the names include words like “slots,” “spin” or “roll,” Neustadter says. While this discovery is certainly a good place to start, the most successful casino games have more than a relevant image and keyword—they tell a story. Below, Neustadter and Justin Cooper, chief creative officer at Rocket Games, explain how they’ve created app icons that stand out from the crowd. Testing your app icon seems to be a recipe for success. Google Play has made this a bit easier by offering an A/B testing tool, while Apple’s App Store still lacks a built-in testing feature. Either way, whether devs test icons manually or automatically, it’s critical to success. Cooper admits that he’s not always right when it comes to choosing icon imagery. To prove himself wrong, he tests icons often. Cooper is a veteran designer who feels like he’s got an idea for what people like and what they want, yet he’s lucky to get it right 25 percent of the time. Product Madness, on the other hand, takes testing to the extreme, cross referencing their results with other data. “We rely heavily on Google Play A/B testing measurement, but also combine that data with install rate, store visits and conversion data,” Neustadter says. If a game’s install rate and number of sessions decrease when the icon changes, or less people become paying users, the Product Madness team has informative data to help them decide if they should change the icon back, or pursue more testing. Neustadter’s team spends about a week and a half on A/B testing to determine which icons trigger more downloads than others. Changing the icon often can also help new players find the game because, as studies show, humans are hard-wired to respond to novel imagery. Cooper agrees, adding that devs won’t lose any players by changing an app icon a little bit, but they might gain new users if they show an icon that appeals to new people for whom the previous icon didn’t resonate. Players unsurprisingly relate to app icon imagery with faces. 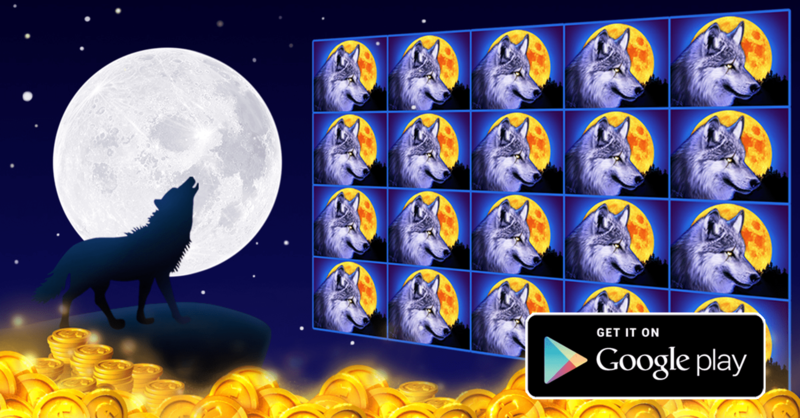 While casino games don’t typically benefit as well from a face-laded app icon, when applicable, a face offers a way for a game to attract attention away from the abundance of casino app icons. According to Cooper, when using faces within the composition of a casino icon, a mid-sized, more readable face looking directly at the viewers performs better than huge faces or smaller figures. Think of the small canvas as a story, he adds, where players can almost tell what’s going on outside the tiny window of the app icon. Cooper’s team put its theory to the test with its Riches of Zeus Slots game. Rocket Games discovered that the app icon with the largest facial image (as well as the one without the trident prop) didn’t test as well as the image of Zeus facing the viewer and holding a trident. “He’s just an old man if you can’t see his awesome bod and staff,” Cooper says. Interestingly, the advanced 3D graphics that Neustadter’s team has tested don’t perform as well as the flat, vector-like images. Zynga’s Hit It Rich! is a great example of a flat style with an unmistakable character: the Wicked Witch of the West from The Wizard of Oz. “The casino demographic tends to skew older, and they’re not as enticed by shiny graphics,” Neustadter says. he bright lights of the Las Vegas Strip are a sight to behold. Stunning casino skyscrapers stretch down the Strip as far as the eye can see. Each casino resort tries to persuade patrons into walking through their doors by decorating their building with flashy lights, massive jumbotrons and unique decor. Social casino ad creatives attempt to grab a player’s attention in the same way as those brick-and-mortar casino hotels. Here, we present some of the highest-converting social casino ad creatives that have won big. Well-balanced composition, with a key design element in all four quadrants. The vibrant, rainbow-colored wheel attracts the player’s full attention. Use of lens flare brings to mind the revered era of old Las Vegas’s glitz and glamour. The eye perceives the white background behind “Viva” and the number 50X slice of the wheel as one continuous design element. As a result, players read downward from “Viva” to the number 50X. The design elements in both the top left half and right half of the ad creative, the “Viva Spin the Bonus Wheel” CTA and the “Multiply Your Wins Test Your Luck!”, have the same visual weight. The Wheel of Fortune-like wheel perfectly slices the ad creative diagonally into two halves. In addition, English-speaking players, who read from left to right and top to bottom, will first latch their eyes onto the “Viva Spin the Bonus Wheel” CTA and follow the downward arc of the wheel. As players reach the bottom of the wheel’s arc, they immediately catch and identify the shapes of famous Las Vegas buildings, namely the Bellagio and Stratosphere. In a player’s mind, they’re instantly associating the Heart of Vegas logo with the world’s most famous sign, the “Welcome to Fabulous Las Vegas” sign. Dopamine is triggered in a player’s brain when they see the “Spin” CTA button because it appears as though it’s a button on a physical slot machine. 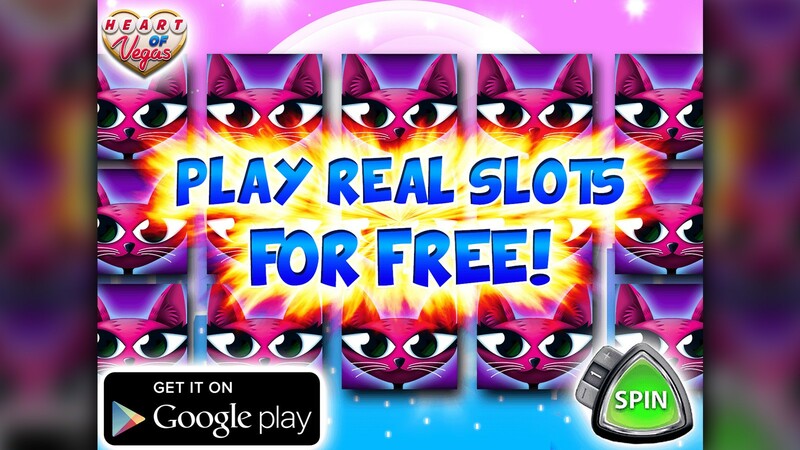 Contrast between the purple cats and orange flames pushes the “Play Real Slots for Free!” CTA outward. Color palette (red, yellow and blue) is reminiscent of the Las Vegas era of old, which is known for its elegance and class. 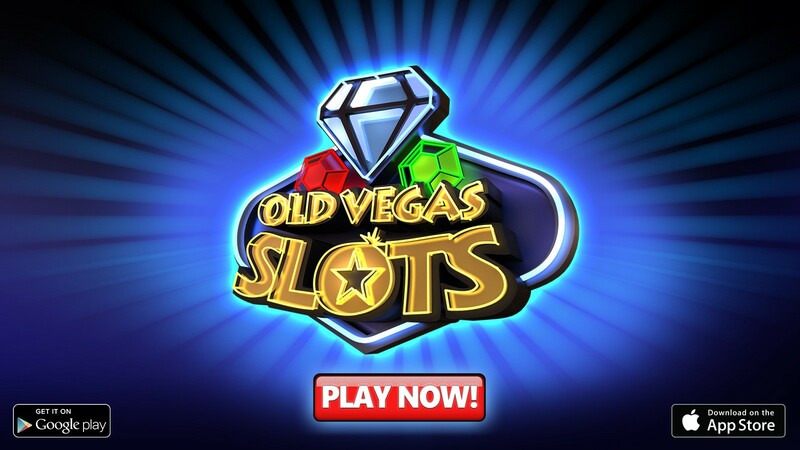 Blue-colored light burst effect around the Old Vegas Slots logo directs a player’s eyes to the middle of the creative. Makes use of the color red for its CTA, which is by far the most used color for a CTA in ad creatives. On a subconscious level, a player is connecting the word “Twilight,” which brings to mind the hit series Twilight, with vampires—a recognizable pop culture symbol. The skeuomorphic design of the “Spin” CTA button mimics the buttons on a physical slot machine. White-colored moon takes the place of a CTA button, directing a player’s eye toward it. Imagery of the yellow moon in the slot reels creates an optical illusion, as it looks like gold casino coins. The warm color of the moon in the slot reels and the dark tones from the night sky make the coins at the bottom of the creative pop out. Motion blur effect from one of the slot reels replicates the vertical motion a player experiences when playing a physical slot machine. 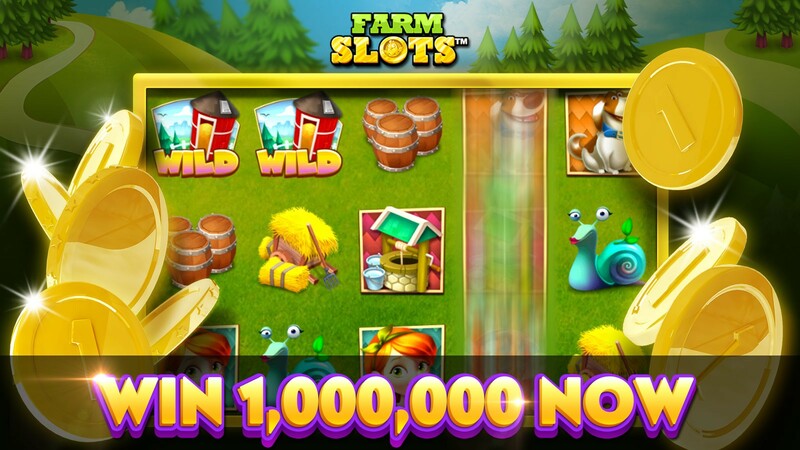 The falling coins and the spinning slot reel directs a player’s eyes at the “Win 1,000,000 Now” text CTA. The mise en scène has the coins acting as curtains, which pushes a player’s gaze inward, framing the scene for the gameplay screenshot at center stage. hen it comes to top contenders in the multi-billion dollar social casino space, Caesars Interactive Entertainment is the undisputed champ, taking over a 21 percent share of revenue in the social casino market in Q4 2015. Seeing the overwhelming takeover of mobile in the space, the Caesars subsidiary has acquired two talented Israeli studios: Playtika back in 2011, and Pacific Interactive, home of successful slot game House of Fun, in early 2014. House of Fun (which now sits under the Playtika umbrella) has a dedicated worldwide team of around 200 people who help maintain its position as one of the most successful mobile-social casino titles around. As of now, House of Fun is the fifth highest-grossing social casino game on iOS, spending almost every day of 2015 in the top 50 of the top overall grossing chart. The secret to House of Fun‘s success? Well, it could be—in part—the Playtika pedigree, which boasts impressive conversion rates across its portfolio social casino titles. Where turning 2 percent of users into paying customers is generally considered a strong performance, Playtika managed to hit 4.3 percent with its titles in 2014. Beyond belonging to a successful lineage of casino games, though, House of Fun‘s key to conversion lies in delighting players with new and exciting content to ensure sure they stick around (and, eventually, start buying in-app purchases). Where some social casino games have struggled with the Facebook-to-mobile transition (due to the joint challenges of shifting desktop players to mobile and implementing social features on a smaller canvas), House of Fun has had better luck by essentially creating an entirely new game for mobile. After debuting on Facebook in 2011, House of Fun upped the ante on mobile in 2013. Today, 70 percent of its users are playing on mobile devices. Playtika user acquisition manager Nir Schlaen admits that converting existing Facebook players to mobile is still a challenge, but he says the two versions of the game inherently appeal to different users, and that’s okay. Desktop and mobile gamers are different: at a basic level, one sits down to play, while the latter is usually on the go. For House of Fun, Schlaen says its Facebook audience is generally aged 45 plus, while the mobile audience skews younger and has a slightly larger male presence (around 40 percent, compared to around 30 percent on Facebook). The group took these statistics into account when creating its successful mobile version. “In the last couple of years we’ve tried to bring in traffic from as many sources as possible,” Schlaen says. Keeping players engaged is an important part of House of Fun‘s continued success, so the team tackles the tricky topic of retention by continually adding new content. An army of 60 people—including designers, developers, artists and QA testers—build new themed slots games they drop into House of Fun on a weekly basis. This makes existing players want to regularly return, while the excitement of something new helps convince non-paying users to pay for the first time. Schlaen didn’t share specific numbers, but he did explain how important those peaks are to House of Fun‘s monetization strategy, which relies entirely on IAPs. House of Fun‘s new slots don’t always hit the mark, and Schlaen says it’s a case of trying things until something sticks, then replicating it. Despite this appetite for all things new, one of House of Fun‘s slots games that never goes out of fashion is “Three Tigers”—it’s been there from the start. “It’s one of the all-time favorites,” says Schlaen, “for the players and for us. It’s always on the main page.” Three Tiger’s enduring popularity is down to its simplicity, strong visual and the presence of a user-selected bonus, says Schlaen. House of Fun‘s mobile success is built on its popularity in key social casino markets such as the U.S., Canada and Australia. But the House of Fun team at Playtika is now looking to new territories in order to expand its user base, focusing heavily on South America, Asia and Eastern Europe in the year ahead. It’s difficult to know why certain regions respond well to the game and some don’t, but Schlaen says it’s all about testing the market, like in Mexico and Argentina. “Mexico went well; Argentina didn’t. I don’t know [why],” he says. Likewise, House of Fun found success in Taiwan and the Philippines but not in India. But even when a new region doesn’t work out once, that won’t stop the team from trying again in its efforts to expand House of Fun‘s global reach. n the hyper-competitive global market for social casino gaming, indies and big-name publishers alike should be looking to non-English speaking regions today as the most attractive markets to target. Latin America (LatAm) is one of these regions, with a rapidly evolving marketplace for social casino games and a changing attitude on the subject of real-money casino games. Success, however, is hardly guaranteed with any emerging market. In LatAm, for instance, the area’s culture has yet to embrace the practice of mobile payments—a handicap when it comes to real or virtual casinos. That said, the region has made some strides in recent years, with the World Bank reporting relatively high levels of credit card ownership in LatAm compared to other developing countries. While bank account holders in LatAm are notoriously shy about using the accounts for direct payments, avid game players may be more receptive to pay. In LatAm, developers are faced with confronting a deep-rooted culture that requires them to localize if they want any chance to succeed. Still, for devs that can overcome the payment and localization challenges, an eager, highly social audience awaits. “The advantages you find compared to other markets is that [LatAm] is way less crowded if you’re localizing well,” says Vicenç Martí, CEO of the Latin-focused social casino game company Akamon. But effective localization goes well beyond language, extending to culturization—the process of making sure that a game’s art, writing and even customer service are suited to the market. Coincidentally, many gaming companies with a user base in LatAm don’t pay attention to this factor. “When Thanksgiving comes, you’d be surprised how many U.S. companies run ads in South America,” he says. Alfonso Villar, CEO of Spanish casino gaming studio PlaySpace, points out a north-south progression of cultural styles through LatAm’s countries, ranging from the distinctive U.S.-influenced style in parts of Mexico to the heavy European influence felt in Argentina and Chile. While the cultural variations complicates matters for some, it offers opportunities for regionally popular games such as Truco: “Our plan is to do both if we can—niche games to have steady growth, but at the same time localize more [standard] casino games,” Villar says. Culturalization matters, of course, but what’s the point if you can’t monetize? Most LatAm users don’t have credit cards; and according to one report, 70 percent of adults in the region are without a bank account, choosing instead to deal in cash. Each game developer or publisher thus needs a monetization strategy in LatAm that doesn’t rely heavily on mobile payments. For Akamon, the strategy for monetizing in LatAm with its casino games means focusing on big markets: Mexico, Brazil and Andean nations such as Colombia and Peru. “When you want users to start paying, you have a heavy dependency on carrier billing,” Martí says. That means building relationships with mobile carriers and payment providers country by country, which is often a slow process. Martí also points to a multi-platform strategy as a way to open LatAm users’ wallets: while a mobile-only user generates a $20 ARPU, a user on two or three platforms (mobile, Facebook, desktop, etc.) brings an ARPU of $80 or $170, respectively. Since Murka isn’t focused on LatAm, it doesn’t attempt to strike carrier billing deals. Instead, the company primarily acquires users on iOS, a strategy that seems unusual in the Android-heavy region. And to retain users longer, PlaySpace focuses on social features like in-game groups and chat, because keeping users around for a long time can eventually pay dividends. “Once the user is willing to pay, they could pay the same as a user from the U.S. The biggest challenge is the first payment,” Villar says. While most social casino companies are focused on free-to-play, where users can put money into a game but can’t take any winnings out, real-money gambling is growing—slowly but surely—across LatAm. At the moment, current laws in the region don’t address internet gambling, but most governments have been working on legislation for months or years. When it comes to the viability of real-money gaming in the region’s largest economy, Brazil, “I have high expectations,” says Cristina Romero, a partner at Spanish law firm Loyra Abogados. “Anything can happen, but I’d say there’s a reasonable chance this time that [online/mobile gambling] gets approved,” she says. Several smaller countries are also close to approval. Romero points to Colombia as a leader, with Chile, Uruguay and Peru all likely to update its laws in the near term. But the legislature in Mexico, the other regional heavyweight, is holding off. That said, partnership opportunities exist with land-based casino licensees in Mexico. “If I wanted to penetrate the Mexican market, I would start today,” says Romero, pointing out the often lengthy negotiation and preparation phases required to get the wheels turning. Even if the next few years remain economically challenging in LatAm, it’s likely that improvements in payment options and changing cultural attitudes to online payments will continue broadening the opportunity for mobile casino developers. he casino industry likes data. No, it loves data. Gathering, analyzing and making use of data helps any casino business grow. Whether they’re a brick-and-mortar casino operation or a social casino company, they’ll take any data to gain a competitive advantage. In this section of the Power-Up Report, you’ll find five charts to help you benchmark your social casino game against activity we’re seeing within our network. The casino genre saw the largest game session growth in Brazil on Google Play and Taiwan on iOS, pointing to the fact that despite the criminalization of real-world gambling in both countries, there’s a large appetite for casino-style games at least in the form of social casino games. Contrary to popular belief, casino advertisers saw players with a higher payer conversion from Card & Dice and Trivia publishing apps, not other competing casino titles. Southeast Asia was a hotbed for iOS casino games, with the Philippines, Malaysia, Singapore, Indonesia and others all exhibiting great D1 retention. LatAm players displayed a penchant for casino games, with high D1 retention across a majority of the 20 countries in the region—especially Argentina at 49%. he potential to win big in the real-money gaming sector of the mobile casino market is huge for devs—and now may be the time to make a bet before the figurative casino floor gets too crowded. While big name real-money operators like Microgaming, NetEnt, Playtech and William Hill have already made their mark, real-money gaming is still vastly uncharted—and unclaimed—territory for mobile casino developers. Desktop is currently the platform of choice for real-money gaming, according to research by Optimove. However, the data-tracking firm also reported that mobile’s share of real-money gaming is increasing by a steady 2 percent every month—with 14 percent of online wagers being placed on mobile. If you’re a mobile casino dev looking to get into real-money gaming, you’ll likely improve the odds of your game’s success if you do two things: be aware of relevant gaming laws and develop an innovative product. Shaz Mirza, director of mobile services at PokerStars, which offers poker games for desktop and mobile platforms, says the complex legal landscape for online real-money gaming requires mobile casino developers to adopt an “agile and flexible” skill set. Attorney Martin D. Owens, Jr., an expert in U.S. gaming law, says that only three U.S. states—Delaware, Nevada, and New Jersey—have passed laws legalizing and licensing real-money gaming online (of which mobile gaming is considered a subset). And while patronizing unlicensed games is a misdemeanor in every U.S. state except Washington, where it’s actually a felony, Owens says enforcement is essentially impossible. “While the risk of legal repercussions for players is low, there is the potential that operators of unlicensed games could be found guilty of a low-grade felony. Many operators choose to relocate offshore to avoid the reach of state and federal law,” Owens says. Perhaps the biggest uncertainty in real-money gaming for casino devs is whether their app can quickly grow a loyal and large fan base. For that, innovation is an obvious essential. But according to veteran game designer Tadhg Kelly, much of the innovation in real-money gaming today centers “around the graphical edges” of games—for example, changing themes. “The key challenge for new developers in real-money gaming is the same as it is for those in any genre of games: design an original game,” Kelly says. Still, the limitations of the mobile platform are a challenge for innovation in real-money gaming apps, says Mirza: “Mobile is not quite desktop, and never will be due to screen real estate and functionality.” He notes that sports betting and lottery apps have been successful on mobile because they follow an e-commerce model, “with quick glances and speedy checkouts.” Casino genres such as slots are also “particularly well suited for snacking on mobile,” he says. One way PokerStars is trying to push the envelope with innovation is by combining gaming concepts. For example, it recently took its popular game Spin and Go—which Mirza describes as “a slot jackpot amalgamated to a sit-and-go poker tourney”—and adapted it to a sports betting game: Spin and Bet. ituated within the lucrative mobile gaming market and valued at over $3.4 billion, the mobile-social casino gaming industry is full of potential for game devs. The segment shows no signs of slowing down either. Mobile casino player spending on iOS increased 55 percent last year alone, according to mobile app analytics firm App Annie. “It’s an intensely competitive space with multiple new mobile casinos launching every month,” says Markus Jalmerot, head of online casino promotion company New Casinos Limited. The main driving force behind the increased competition? Higher marketing costs, says Bryan Bennett, VP of marketing at AGS Interactive, the mobile division of the casino game manufacturer AGS. Developers may be discouraged by the increasing competition and higher mobile marketing costs. But never fear, there’s a trick to the trade: team up with a recognizable brand. One way to join forces with a brand is to include it in the game itself. By working with an established entertainment brand such as hit series Game of Thrones, social casinos can take advantage of pre-existing brand loyalty and values to draw in potential players. The effectiveness of this tactic has been long established in the mobile game space. Kabam chief operating officer Kent Wakeford told VentureBeat in 2014 that implementing brands such as the The Hobbit into a mobile game is an essential element in reducing mobile game marketing costs. And the benefit holds true for the top downloaded casino games on Apple’s App Store: Monopoly Bingo, Zynga’s Wizard of Oz Slots, CSI: Slots all litter the page. So how do developers get these brands on board? Just ask! That’s what developer Tiny Rebel did with its hit puzzle game Doctor Who: Legacy. If devs get the “OK” from a license holder to match the brand to the game, it’s easy to piggyback on the strong brand equity in order to reach a wide audience of potential casino players on the cheap. The second opportunity for branding in the social casino space lies in the crossover between the mobile game and the existing brick-and-mortar casino operations. “We take the proven real-money, brick-and-mortar content developed by AGS [an offline casino company] and launch it in our mobile titles,” Bennett says. And this cross-pollination between real-world and mobile has seriously benefitted their games. Whether developers reach out to a licensing team at either land-based casino operators or casino game manufacturers or are acquired by them—a la Bennett’s company—working as the authentic partner to a brick-and-mortar casino operation gives a social casino game credibility. The resulting partnership could turn their non-payers into paying players. Though companies working in the social casino space guard their data enormously, the slow revival of Zynga demonstrates the value of brands. By doubling down on social casino products and by working with brands like The Wizard of Oz in its games, Zynga reported 61 percent year-over-year revenue boost across its key slots and poker franchises, as well as a 26 percent year-over-year increase in mobile gaming revenues in Q3 2015. By successfully recreating the casino experience on a device through branding and design, social casino game developers are able to cut through the noise of a congested genre and market offerings more effectively. Plus, a brand in hand is a great way to fight off rivals in the space. By mobilizing pre-existing player loyalties, either through a particular IP or working with a brick-and-mortar casino company, brands don’t just drive developers’ marketing costs down; they can help improve the quality of the games, too. And in a fierce market, that’s the kind of advantage worth fighting for.